There isn’t much to say about Margaret’s French Bakery because the cakes were dry and didn’t have much flavor. It was disappointing because Margaret is such a sweet woman and I wanted to like her cakes but we had a hard time choosing flavors we liked from the tray below. We actually had a hard time distinguishing which flavor was which… is this mocha or hazlenut?!? I think our overall favorite was the banana cake but I would probably choose my Mom’s banana bread over an expensive banana cake any day. Sadness. I’m not a cake person. I’ll eat it if it’s there (sometimes) but I can do without it. My true loves are ice cream (if you couldn’t tell from my last post) and cookies. I can eat ice cream any time of the day in any season. But weddings have cake. While I know we don’t *have* to serve cake at our wedding and cupcakes and candy bars are ever-so-popular right now, I wanted to have a traditional cake to cut into. Boyfriend and I have been inundated with appointments and meetings and cake tastings lately so I definitely have cake on the brain. 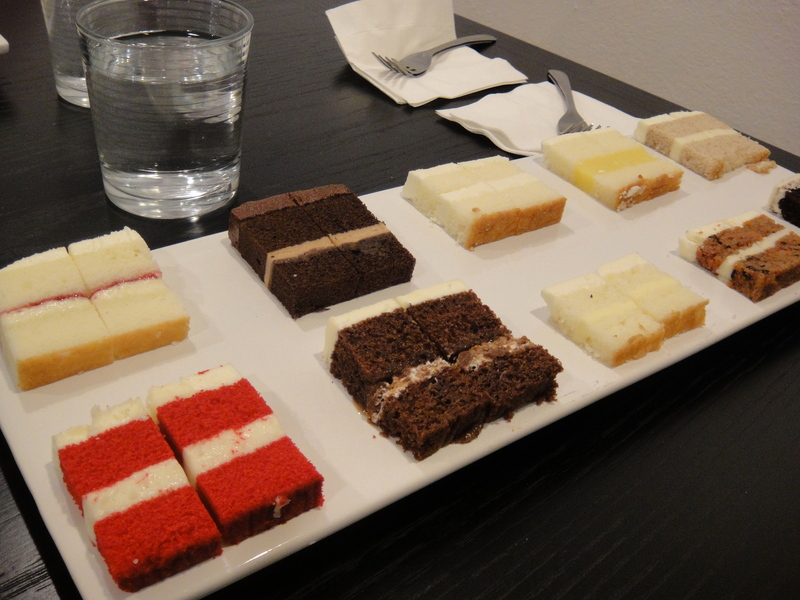 Our first tasting was at Jen’s Cakes. 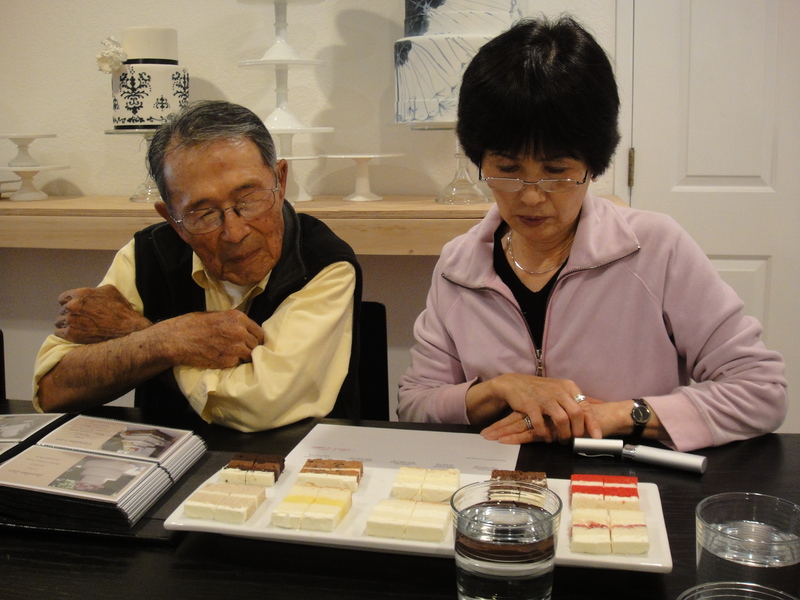 My parents were in town and were able to join us in our first cake tasting experience. We tried ten of their most popular flavors and fillings. My parents studied the plate and description sheet intently before they dug in! 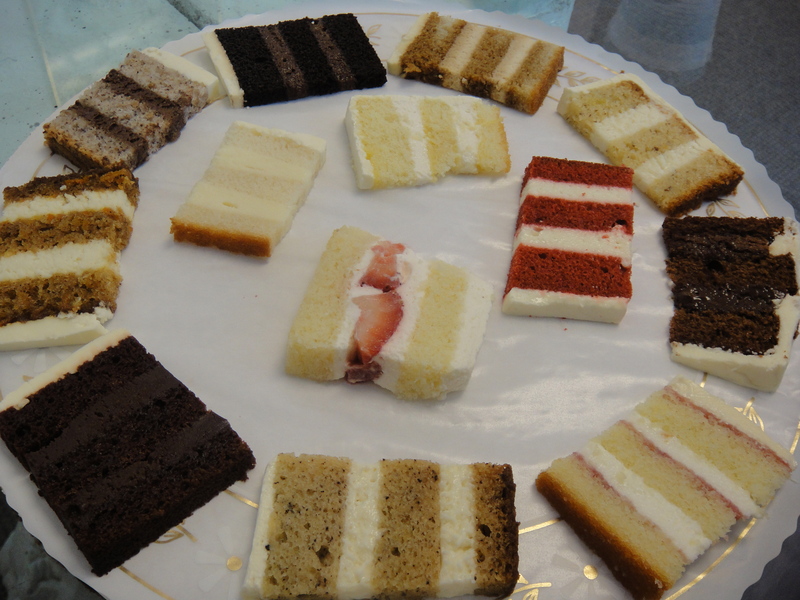 We all agreed on three flavors we liked the most and while we didn’t make any decisions, it was a great start to our cake tasting experience. 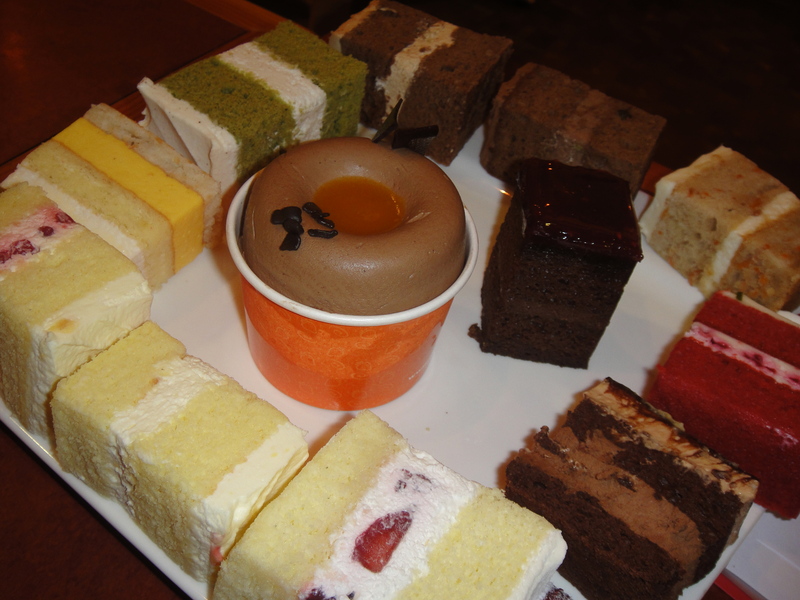 You are currently browsing the For the Love of Food weblog archives for June 2010.